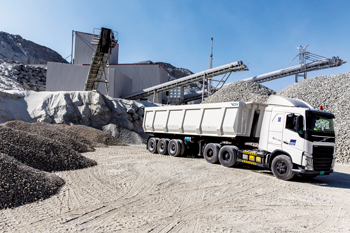 UAE manufacturer of heavy transport equipment, Bion Industrial, has expanded its product range with the addition of three tipper trailers and a new cement bulker semi-trailer. Since its inception, the Dubai-based manufacturer has gone from strength to strength and is now covering five GCC markets, including the UAE, Qatar, Oman, Kuwait and Bahrain. 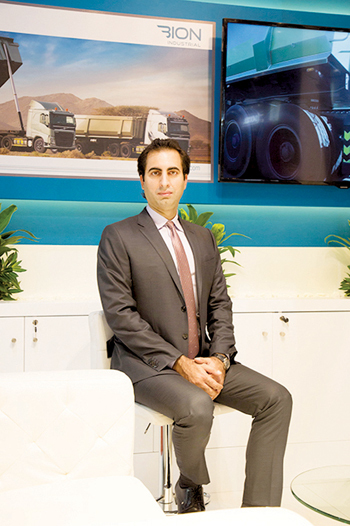 “Bion Industrial tipper trailers’ versatility, operational efficiency and high performance at lower operational costs have enabled the company to supply products to four out of the top five major heavy transport companies in the UAE,” said Noas Al Rawi, CEO of Bion Group. In response to the positive growth rates, Bion Industrial is looking to increase production to 1,500 tippers in 2016 following the opening of a new half a million square-feet manufacturing facility in Dubai Industrial City which will accommodate up to 1,000 employees. The company seeks penetration in the African market and is exploring business opportunities in Nigeria and Kenya as part of its ongoing commitment to providing quality heavy transport equipment to different markets around the globe, according to Rawi. Bion Industrial also plans to expand its production line to include flat-bed and low-bed trailers as well as a wide range of municipal transport equipment. Commenting on the new products, he said: “The new range of tippers has been designed to cater to a wide range of applications, including construction and waste disposal. The new CB 520 cement bulker semi-trailer is made from high yield steel in order to maximise capacity and lower the weight of the container. Bion’s B460 and B240 tipper trailers provide 46 cu m and 24 cu m capacities respectively and have been specifically developed to transport bulk abrasive materials such as sand, gravel, aggregate, rubble and debris while offering long service life, high payload and low maintenance. The B460 body is completely made of carbon steel plates with a unique design to enable greater durability and strength and has been aerodynamically designed for better fuel efﬁciency and performance. Its unique features include high-yield strength built-up fabricated beams and cross members produced from SSAB’s Strenx 700 (Weldox/Domex), making the chassis beam extremely strong and lighter. It is equipped with HYVA 100 T - 5 stage telescopic lifting cylinder with hard chrome-plated tubes for better durability and fast off-loading and LED lighting for increased visibility. With a capacity of 32 cu m, the B 320 tipper trailer features a body completely made of mild steel S35JR with top rail of a single horizontal member made of Hardox 450 for greater impact bearing capacity and elasticity combined with a curved bottom design for quick material discharge. Floor and side stiffeners are adequately placed for sufficient stiffness, rigidity and stability and the five-stage telescopic lifting hydraulic cylinder comes with hard chrome-plated tubes for better durability. The CB 520 cement bulker semi-trailer is designed to achieve superior durability, optimal payload, higher safety and maximum operational efficiency. With a chassis made of high-yield steel –Strenx 700, the CB 520 is extremely stronger and lighter featuring a wider design that ensures better stability. To ensure high-bearing capacity, the bulker is manufactured to be three tonnes lighter than others in the same category in the market. Unique features include a special epoxy paint system from Basf, Aspok LED lights and Mefro disc rims for tubeless tyres. “Bion Industrial prides itself on using quality and internationally recognised production processes. Each heavy transport equipment comes pre-fitted with a range of operational and safety features unrivalled in the market and is made to measure by a team of highly skilled engineers,” Al Rawi said. All Bion tipper trailers come with ABS, Tilt Alert, a twin line air brake system, heavy duty disc rims for tubeless tires, a plastic wheel choke, tool box and water tank and fire extinguisher holder as standard. All of Bion industrial’s electrical and lighting systems are compliant with current EU standards and come with five-year maintenance free led lights. “True to Bion Industrial’s usual form, all of its innovative solutions conform to the world’s highest standards of quality, efficiency, safety and durability through high performance which enhances customers’ performance and minimises their operational costs. “At Bion Industrial we’re driven by a mission to deliver above and beyond customer expectations.